about this book: Does history repeat itself, or do people repeat it? 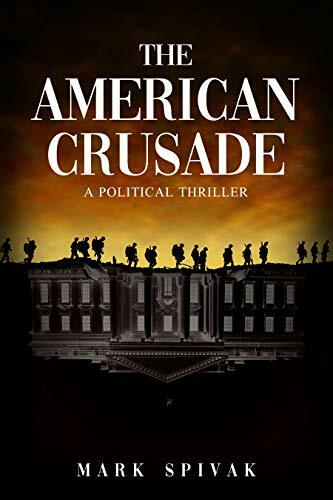 This fascinating political thriller tackles that question by examining the parallels between the invasion of Iraq and the Fourth Crusade. On May 1, 2001, a hijacked jetliner crashes into the Mall of America, thrusting the United States into a state of war with an unseen terrorist enemy. Robert Barton Hornsby, vice president and former CIA director, sees an opportunity to imprint his view of the world on a country led by an affable and ineffective President. The modern-day events in the novel are juxtaposed with excerpts from an eyewitness account of the Fourth Crusade. 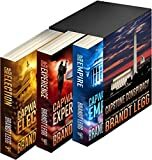 In the harsh light of media scrutiny and reality, Hornsby's war plan eventually begins to unravel, and the nation is faced with another doomed expedition against the forces of evil. In researching this book, I was struck by the uncanny way in which a chain of events can be replicated down through the centuries, and down to the smallest details. For anyone who is a political junkie (as I am) as well as a student of history, this novel is required reading.